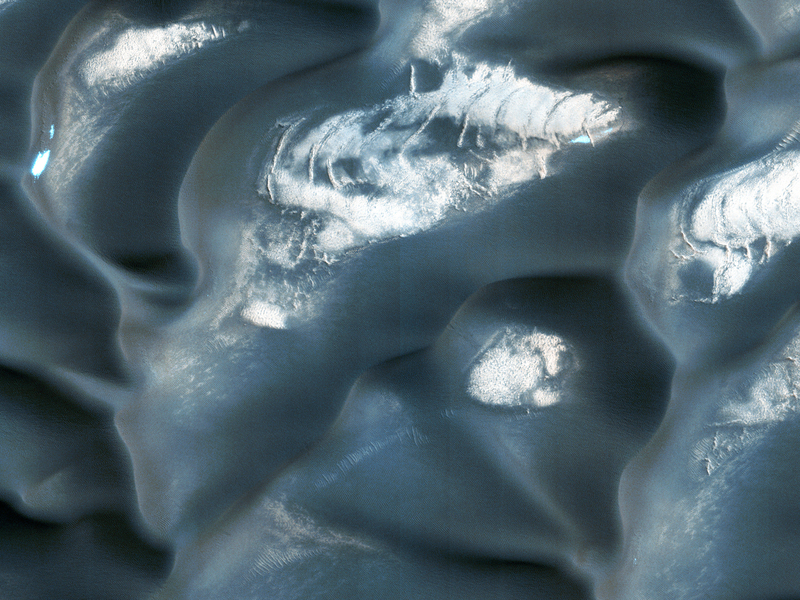 In this image, we see the dunes in early summer of this year. 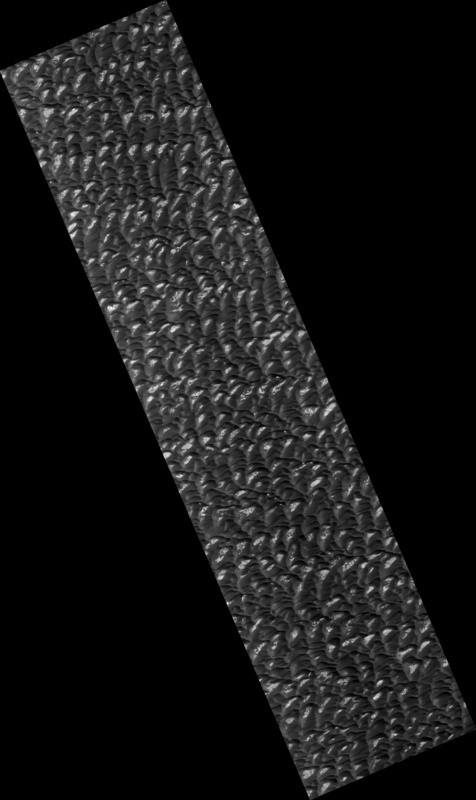 The dark material is sand that makes up the dunes. 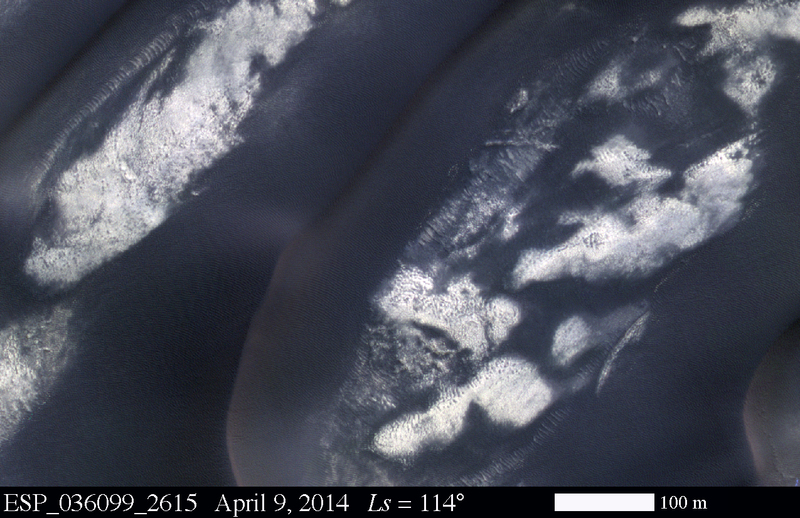 Between the dunes, bright bedrock and some lingering patches of frost that have not yet sublimated are visible. 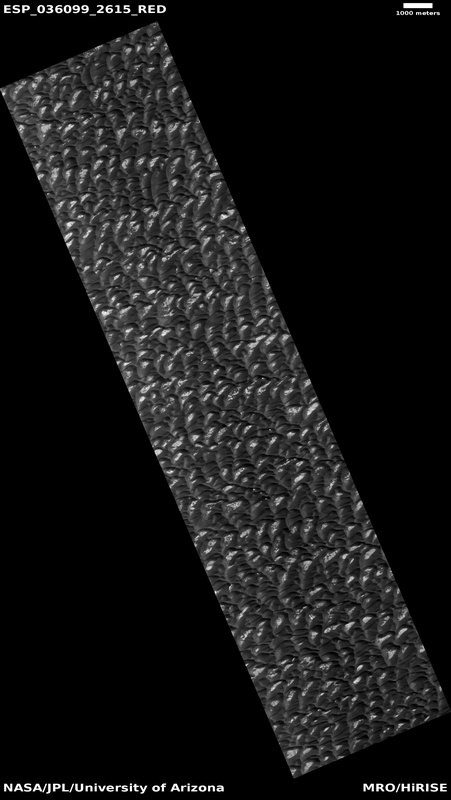 Zooming in, we can see small ripples on the dunes’ surface, as well as the bright inter-dune areas. This area has been viewed several times by HiRISE, so we can compare this image to past ones to see if there have been changes. Here, we compare the new view to one from approximately a Mars years ago (about 2 Earth years), but slightly later in the summer. The most obvious difference between the images is simply the illumination, with the better lighting in the 2012 image showing finer details. Despite these differences, changes in the boundaries of sand and ripple positions are obvious. 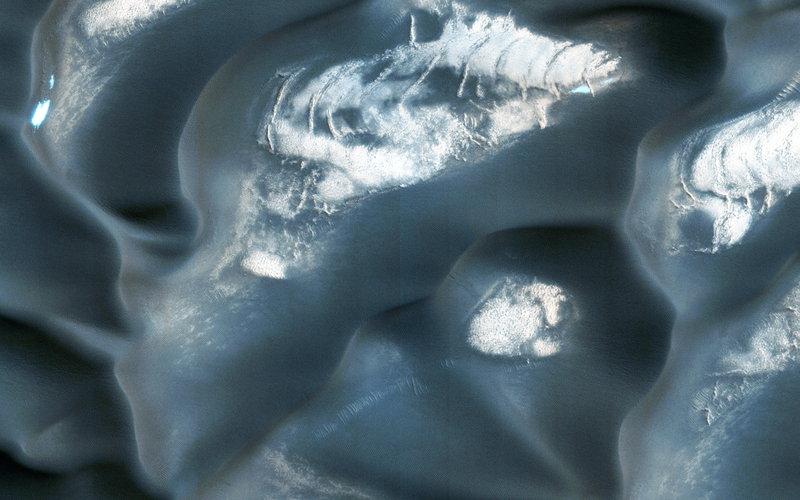 This shows that winds, perhaps assisted by the sublimation of frost that may loosen sand, are modifying Olympia Undae year-to-year. This is a stereo pair with ESP_036073_2615.